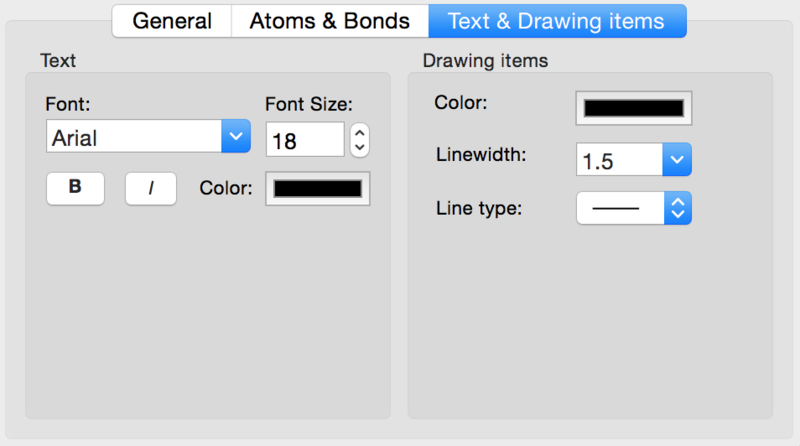 change the background color of the drawing area. If the color of atoms, bonds or drawings match the new background color the colors are adapted. 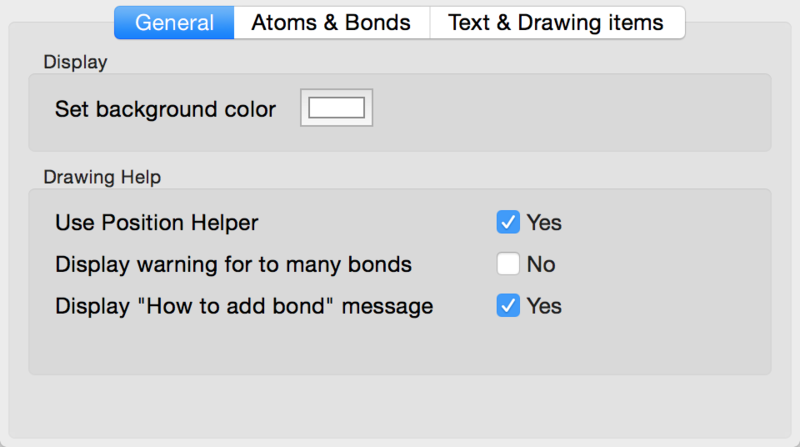 enable or dissable position helper while drawing bonds. 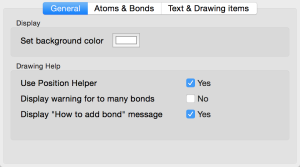 enable or dissable different warnings. 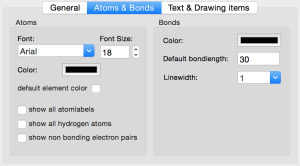 Set different default values for atoms and bonds. Set different default values for text boxes and drawings.